The annual, semi-circular fruiting body has a membrane that covers the tubes. It resembles a pouch or small bag. 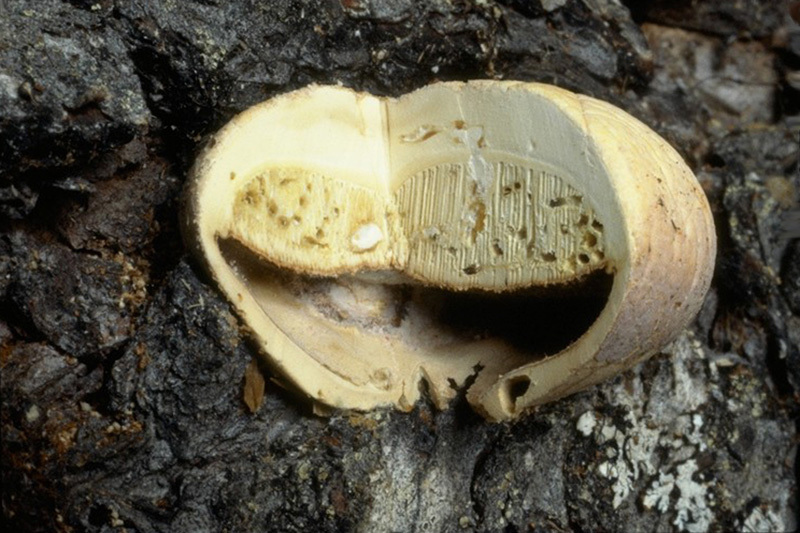 Grey sap rot develops rapidly in dead standing trees but is quite superficial, limited to the outer 1 to 2 cm of sapwood. As a result, little or no board-foot volume loss is associated with this decay. 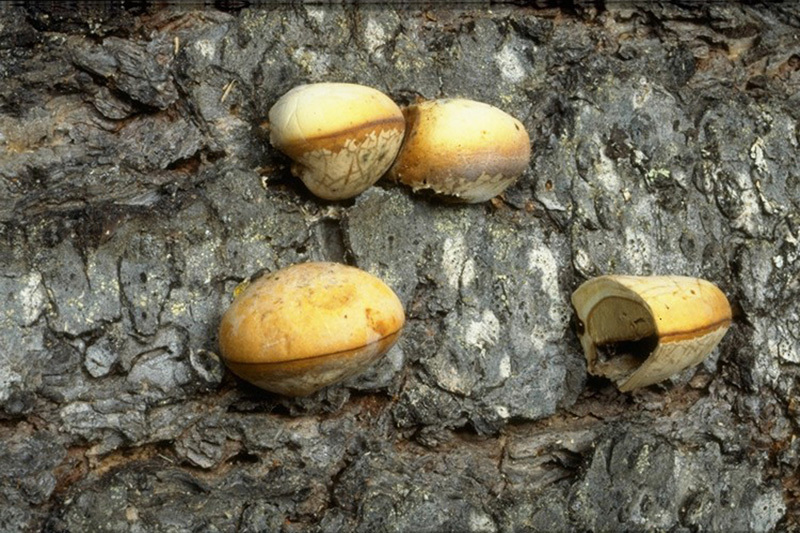 Fruiting bodies usually develop the year after tree death occurs, and often form by the hundreds up the stem (Fig. c). 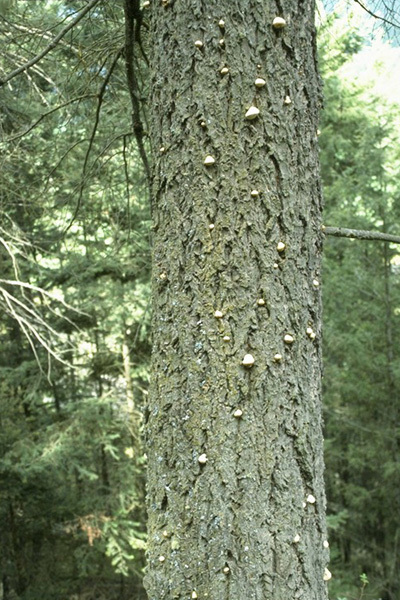 On Douglas-fir, C. volvatus is often associated with old bark beetle galleries and can be used as an indicator of bark beetle kill. Sporophores of Cryptoporus volvatus could be confused with immature conks of other polypore fungi. The latter, however, are solid rather than "pouch-like." Insects have been shown to play a role in the dissemination of C. volvatus basidiospores.